Lately we’ve been making regular Sunday visits to the library to make sure Alan has enough to read for the week. Judging by today’s selections, Alan is ready for Hanukkah and Christmas! 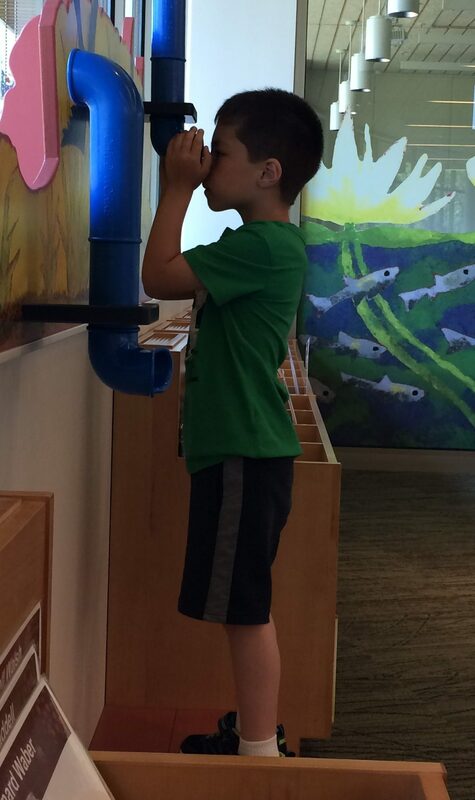 -Sunday visits to the Mayfield Library – for playing and checking out books. -Collecting on a new weekly allowance of $1! Alan’s actually gotten to put his NASA wallet to good use holding his dollar bills, library card, McDonald’s card, and photo ID (2018 summer baseball card). -“Lexia” sessions (online learning for 2nd grade). -Ice skating lessons at Gilmour. 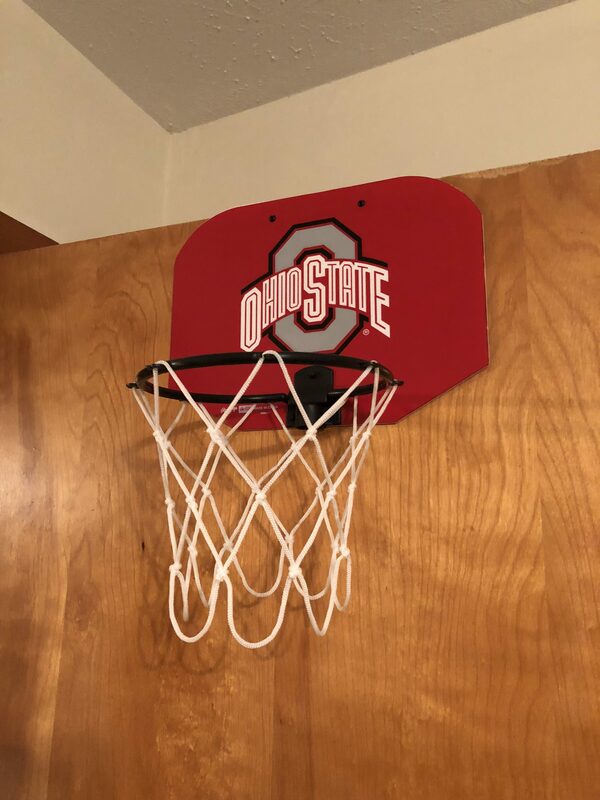 -Playing basketball on our Ohio State mini-hoop! Alan sets the phone alarm and we play 3-minute quarters. -Playing the dreidel game on the computer! -Building racetracks, airports, and cities on Grandma Debbie’s coffee table. -Doing crossword puzzles for kids with Tata. -Setting postseason mini bat matchups! Alan wrapped up the Summer Reading Program with Grandma Debbie (Theme: “Libraries Rock”) and got to pick out a free book at the Mayfield Library as a prize. 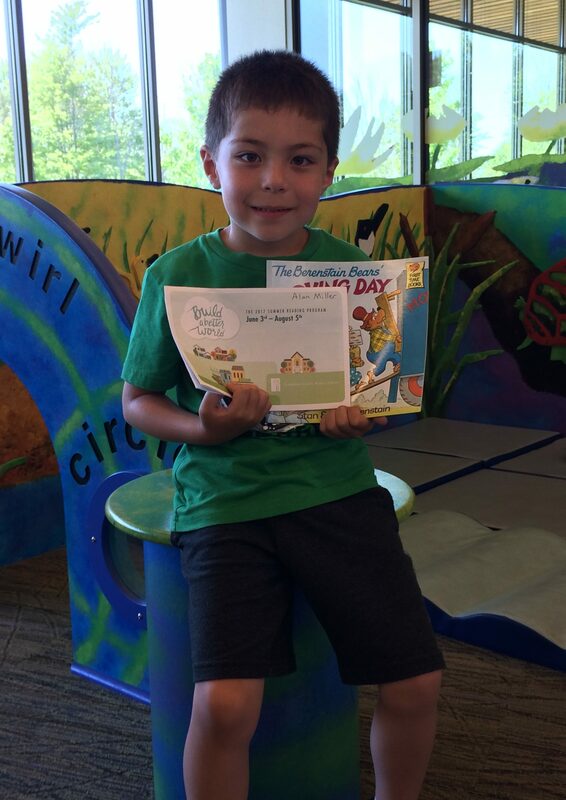 Alan chose Pete the Cat and the Tip-Top Tree House, which was one of his favorite series from Mrs. Russo’s class! With his traveling behind him, Alan could finally get what he’s been waiting for this summer – a sleepover with Tyler and Carleigh at Grandma’s house! In fact it was a true summer weekend from start to finish for Alan. The sleepover took place on Friday night. Alan brought the Sea Patroller (from Paw Patrol) as the featured toy of the night. 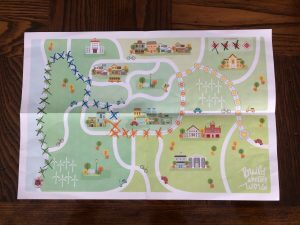 Highlights included the kids picking out donuts from Dunkin Donuts for their bedtime snack and going on a walk in their pajamas with flashlights. On their walk, they met a woman with a white dog named Misty that Alan liked. The kids were excited to explain that they were in their pajamas going on a “midnight” walk with their grandma! 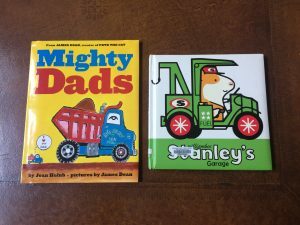 On Saturday morning the kids went to the library to get new books (one of Alan’s favorites pictured below) and play with the kitchen set. Alan’s doing the summer reading program again, and he earned a raffle ticket for reaching the halfway point on his game board. The kids read and played some more until it was time to go home. But the fun didn’t stop there for Alan. Later on Saturday he went to Josh’s house to play with Josh and Killian. The boys played outside, including in Josh’s backyard pool. After I picked Alan up, we played two of Alan’s new favorite games – chess and checkers – on our brand new set. 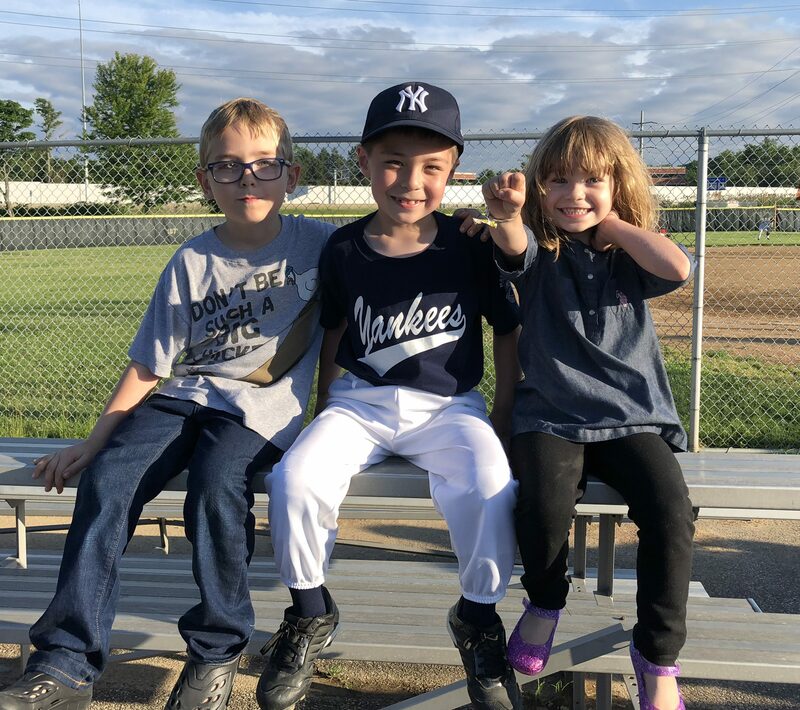 We could have finished the night playing those games, but Alan wanted to run to the park to hit some baseballs until the sun went down. We’ve been playing a new game when Alan hits a ball far where he tries to circle the bases before I can get the ball and track him down. He likes showing off his speed ever since the coach told him he’s fast! On Sunday Alan got to help Tata shop at Giant Eagle for the first time in several weeks due to his traveling. He enjoys pushing the cart and helping out very much. Afterwards we hit baseballs again at the park, despite the heat. It was a full summer weekend for sure! Alan and I declared a new weekly tradition today: Sunday afternoon trips to the Mayfield Library. Today was our second straight Sunday visit, and we have decided to make it a weekly occurrence. Alan of course has a long history with libraries already. 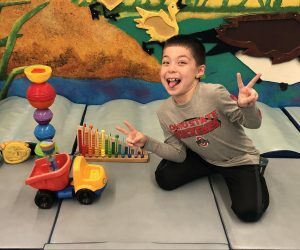 His Mom also takes him to the Mayfield Library to read and check out toys. 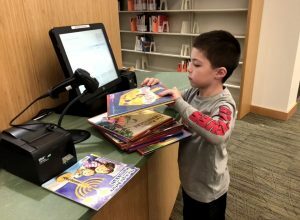 In the years before he started Kindergarten, Alan went to the Solon Library weekly with Grandma Debbie. And before that Alan and I would go to the old Mayfield Library on Saturday mornings when he was 1 and 2 years old. 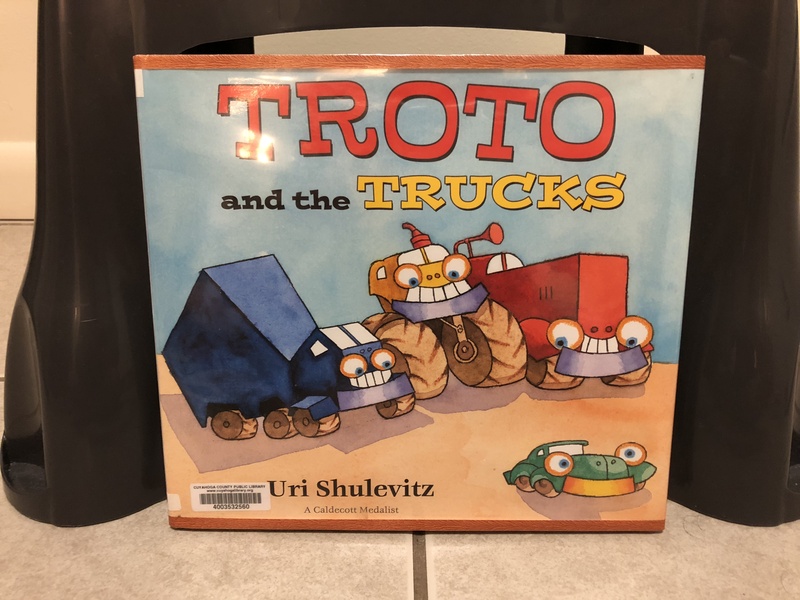 Last weekend Alan checked out Troto and the Trucks. Today Alan checked out Truck Stop. 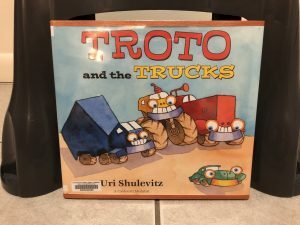 Ever since he was little, he’s loved books about cars, trucks, trains and all other forms of transportation. And now he’s able to read most of the words by himself. 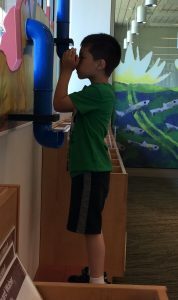 We saw Noah at the library today too! 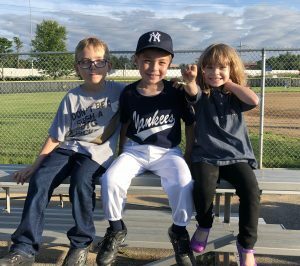 7/22/17 update: After we bumped into Noah at the library, we arranged for a play date at Noah’s house. Alan went over today for a couple hours and stayed by himself. 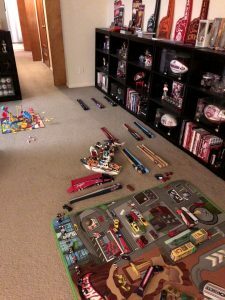 He said they mainly played baseball (inside) and played with Noah’s hot wheels car launcher — no surprise that’s what Alan wanted to try out. The boys were pretty riled up when I arrived. They seemed to have a great time together! 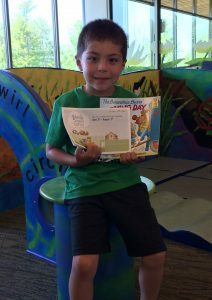 Alan wrapped up the Summer Reading Program today and got to pick out a free book at the Mayfield Library as a prize. Alan chose The Berenstain Bears’ Moving Day, which was fitting since we moved to a new apartment this weekend! Alan has been a huge help this weekend — he even helped assemble the bedroom drawers. 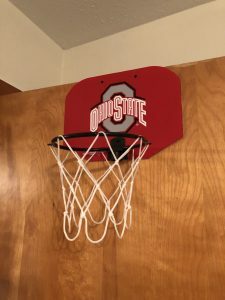 We christened our new place by playing games of Go Fish, throwing [soft] balls down the apartment’s long corridor, and shooting hoops on our mini-hoop above the bedroom door all weekend long. I think we’re going to like the new place very much. 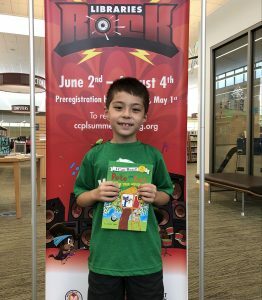 Alan is doing the “Build a Better World” Summer Reading Program through the Cuyahoga County Public Library with Grandma Debbie this summer. 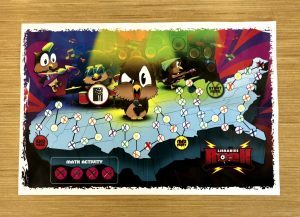 Alan’s already half-way through his game board, since he loves to read so much! 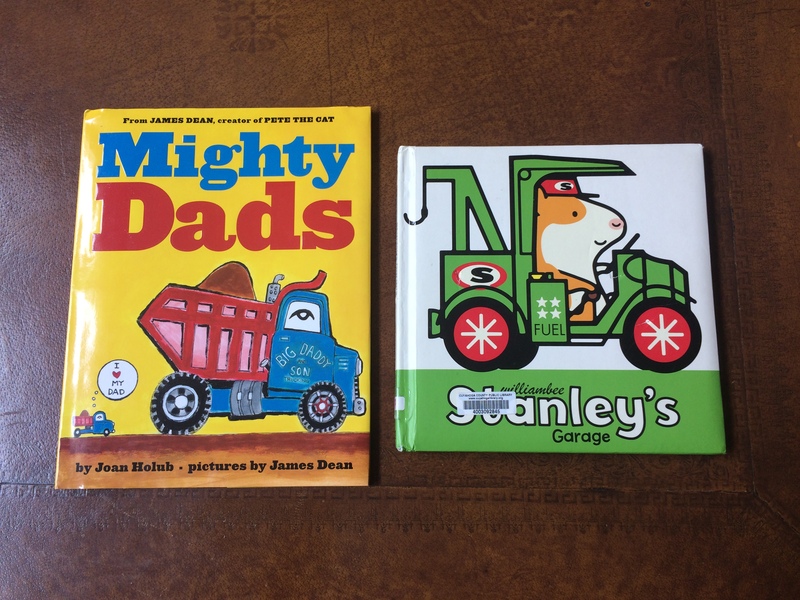 Below are a couple books he likes to read most with Grandma Debbie.